Flower pollen extract may help improve BPH and chronic prostatitis. Improving BPH. Flower pollen appears to alleviate the symptoms of benign prostatic hyperplasia (BPH), and may even reduce prostate size. Alleviating prostatitis. Pollen may also be capable of reducing inflammation and relaxing muscles around the prostate, which can help with both BPH and prostatitis. Flower pollen is a powdery substance found in the flowers of plants best known for serving as food for bees. Also known as bee pollen, cernilton, and rye grass pollen, flower pollen is used to make an extract sold in prostate health supplements. Much like saw palmetto, it has become a popular herbal remedy for helping with benign prostatic hyperplasia (BPH) and prostatitis – the two most common prostate concerns. Research on flower pollen extract, and one particular brand called Cernilton, suggests that it successfully alleviates the urinary symptoms of BPH and helps reduce pain and improve quality of life in people with prostatitis. In addition, there is some evidence that it tackles BPH directly by reducing the size of an enlarged prostate. Did you know? Most flower pollen extracts are made from rye grass, corn, and timothy grass pollen, and can also be made from pollen collected by bees. This mechanism may explain how flower pollen extract reduces the size of the prostate in BPH. These uses of pollen extract are supported by clinical research. A review of multiple studies looking at the effects of Cernilton pollen extract in men with BPH concluded that “The available evidence suggests that Cernilton is well tolerated and modestly improves overall urological symptoms, including nocturia.” 4 Moreover, several studies have shown that pollen extract actually reduces the size of the prostate in BPH. Did you know? Flower pollen extracts are unlikely to cause an allergic reaction because the husks and sheath of the pollen are removed. Clinical studies of pollen extract – typically administered in the form of Cernilton (cernitin) – report improvement of the symptoms of benign prostatic hyperplasia (BPH) and prostatitis. In addition, there is some evidence that pollen extract directly reduces prostate size in BPH. This randomized, double-blind, placebo-controlled study examined the efficacy of pollen extract in men with chronic prostatitis/chronic pelvic pain syndrome (CP/CPPS). A total of 139 men were given six placebo or pollen extract capsules daily for 12 weeks. Compared to placebo, the pollen group experienced significant improvement in pain, quality of life, and NIH Chronic Prostatitis Symptom Index score. This study tested the usefulness of cernitin pollen extract for alleviating symptoms of BPH. A total of 79 men were given cernitin tablets (378 mg) daily for over 12 weeks. The treatment improved scores of urinary BPH symptoms, urinary flow rates, residual urine volume (a marker of the ability to completely empty the bladder). In addition, 28 men who took the extract for over a year showed a significant decrease in prostate volume. This double-blind, placebo-controlled study examined the effectiveness of cernilton for helping with bladder outlet obstruction associated with BPH. A total of 60 men were given placebo or cernilton pollen extract daily for 6 months. In the cernilton group, 69% of the patients improved, compared to only 30% for placebo; in addition, the treatment group had a significant decrease in residual urine. This randomized, double-blind, placebo-controlled study assessed the use of pollen extract Prostat/Poltit in people with chronic nonbacterial prostatitis/chronic pelvic pain syndrome (CP/CPPS). A total of 60 patients were given the extract or placebo daily for 6 months. Compared to placebo, the treatment group experienced a significant improvement of symptoms and had more patients who were improved or cured. In this study, 89 people with BPH were given Cernilton pollen extract or Tadenan, an extract of of the African cherry tree. In the cernilton group 78% of the patients experienced improvement of symptoms compared to 55% for Tadenan. In particular, they experienced reduction of obstructive and irritative symptoms, improved urinary flow rate, decreased residual urine, and a decrease in prostate volume. 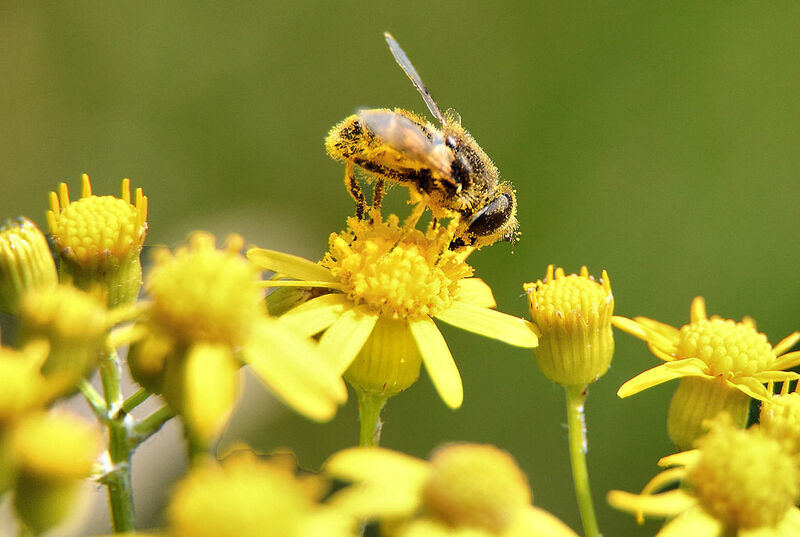 Most flower pollen supplements come in the form of an extract that is sometimes standardized to a certain % of phytosterols and alpha-amino acids, and can also be concentrated at a ratio of 4:1 or 20:1. Cernilton®/Cernitol® is a brand of pollen extract produced by Swedish company Cernelle that contains an extract called cernitin. It is the most widely used flower pollen extract in human prostate research, and is particularly popular in Japan. Graminex® is an American brand of pollen extract that claims to use no solvents during the extraction process. Flower pollen extract, 378 mg daily prostate health. Flower pollen extract seems to be an effective herbal remedy for prostate issues. Although we’d like to see more high-quality research before recommending it outright, flower pollen has been shown to help alleviate both BPH and prostatitis – the two main prostate disorders. We recommend 378 mg daily dosages of pollen extract. 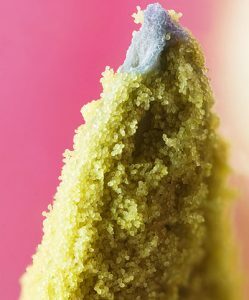 Most studies seem to use 378 mg daily dosages of pollen extract. If possible, you should try to see if you can purchase the research-backed Cernilton brand, but it is difficult to find outside of Japan & Sweden.